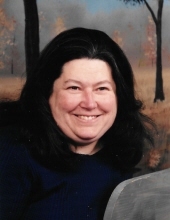 Wilma June "Fisher" Houck, 73, of Perry, OK, passed away on December 23, 2018, in Oklahoma City, OK, after a courageous battle with cancer, in the loving arms of her husband, Dwayne Houck. She was born on October 21, 1945, in Glencoe, OK, to Donald and Leona "Powers" Fisher. Wilma’s true gift was her encouraging words she’d share either in person, through a phone call, or in a beautifully written note. Her great sense of humor and her storytelling would leave you with tears in your eyes, from laughing so hard. A great bargain hunter, she was the coupon and garage sale queen. And above all, she loved and served the Lord and let her faith be known, even through her sickness. While her passing will leave a hole in our hearts, it’s only because she filled our hearts with so much love. She was a remarkable lady! She is predeceased by her parents, Donald and Leona (Powers) Fisher, her daughter Tammy Kay Houck, and her sister, Bertha Mae (Fisher) Hesser. She is survived by her husband of 57 years, Dwayne; her children, Debby (Mike) Gendron, Rick (Gwen) Houck and Tim Houck; her sister Donna (Shawn) Ramoz; brothers-in-law Bob Hesser and LeRoy Houck; sisters-in-law Ann (Houck) McAlvain and Betty Houck; and her grandchildren, Jennifer (Matt) Barth, Timmy Houck, Randy (Krissy) Houck, Christopher, Tiffany (Darren) Frampton, Holly Houck, Eric Bis, Ryan Bis and Will Gendron. She will be lovingly missed by her many great-grandchildren, nieces, nephews, great nieces and nephews and dear friends. A celebration of her life will be held on December 27, 2018, at 10:00 a.m. at the Calvary Baptist Church in Perry, OK with Pastor Shem Durham officiating. She will be laid to rest in the Oakland Knowles Cemetery south of Crescent, OK.
Memorial contributions may be made to the Relay for Life, in care of Trout Funeral Home of Perry, 1408 N. 7th St., Perry, OK 73077. To send flowers or a remembrance gift to the family of Wilma June Houck, please visit our Tribute Store. "Email Address" would like to share the life celebration of Wilma June Houck. Click on the "link" to go to share a favorite memory or leave a condolence message for the family.